We are a highly trained approved Toughseal applicator. Toughseal is the leading product in paint protection in Australia and when applied by us you receive a limited lifetime warranty so you can rest assured that you’ve done the best for your paint. Sulphuric and nitric acids from the atmosphere cling to the paint in the form of oxides. 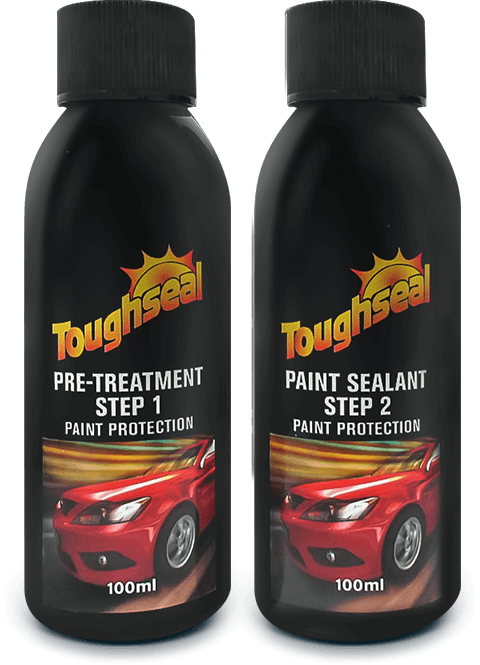 Toughseal’s pre-treatment removes all foreign impurities from within the pores of the paintwork. The now high gloss finish allows Toughseal’s Sealant to chemically bond to the pores. Wax polishing is no longer required. The high gloss finish returns wash after wash.
Includes a limited lifetime warranty. You should allow at least 2–4 hours for us to complete a paint protection.